Bulbophyllum pleurothallidanthum outcross #2700 ('3975' x '7737') (approximately 25 seedlings per flask). 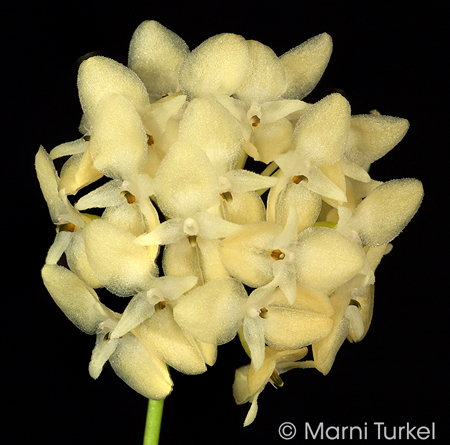 The Species: This recently described species (1999) is from Sumatra. 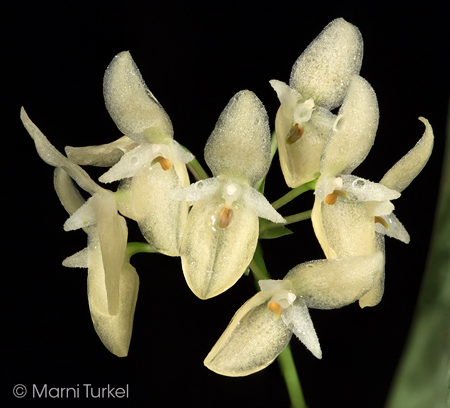 It is a small stature plant that can bloom multiple times per year. 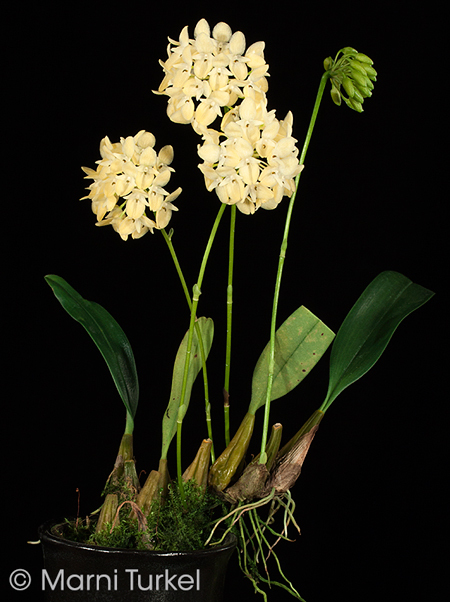 The plants are under 6” tall with pseudobulbs that are very close together so it is a tidy plant. Each individual flower is about 1” tall and the flower head can be up to 2.5” across and can be a hemisphere when well bloomed. The flowers vary from pale to intense yellow. This is a great little species! Culture: I grow this potted in a fine bark mix in a cool greenhouse. It is on a bench very close to my Dendrobium cuthbertsonii. I think it will also do well in intermediate conditions. It gets watered as it approached dryness and fertilized at 1/4 strength concentration. It is in moderately bright light. It can also be grown mounted.